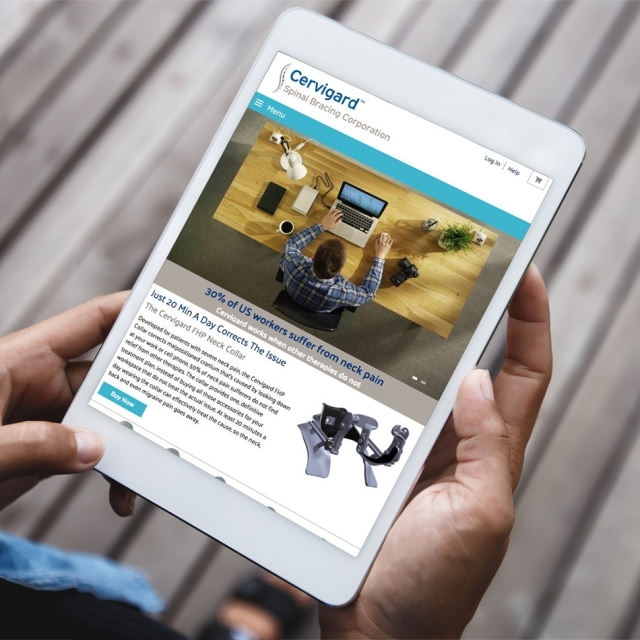 Cervigard came to us in need of a website, logo and branding. 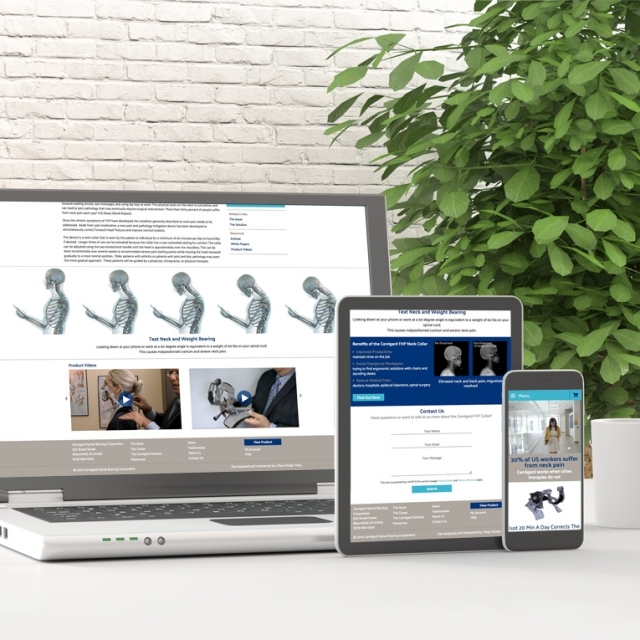 They creative a device to get rid of neck, shoulder and arm pain created by sitting at a desk, looking down at your phone, etc. We created a logo that has an abstract image like a spine. 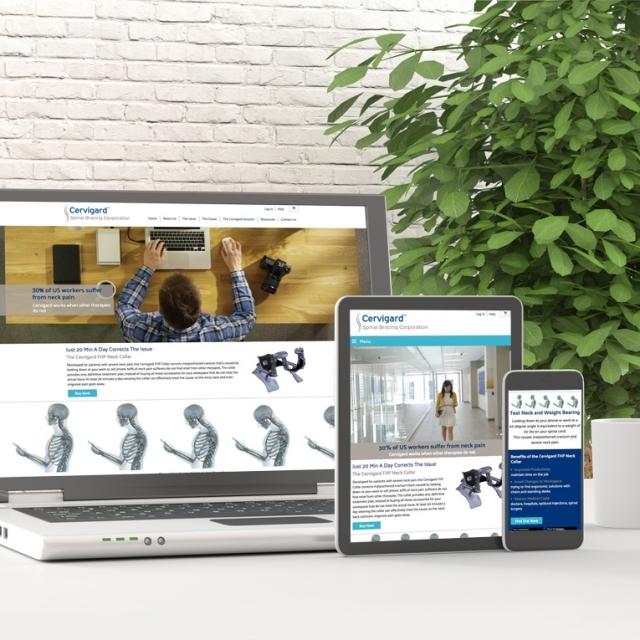 The responsive website features a video slider as the main image showing moving representations of things people do every day that is causing their pain. 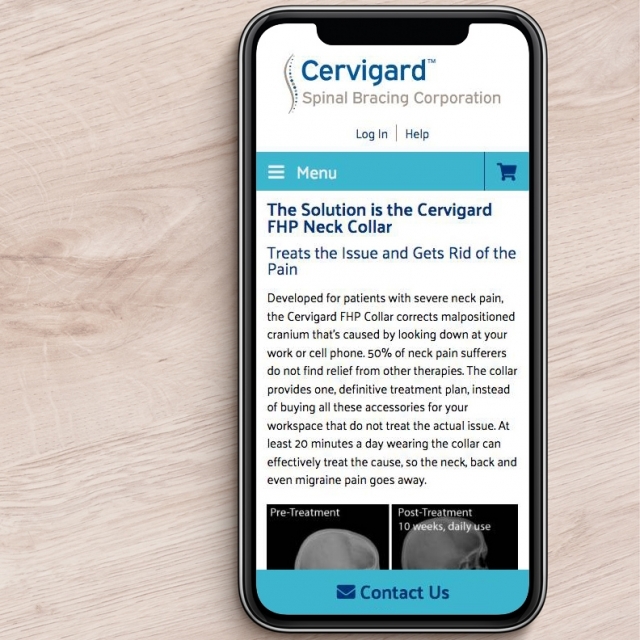 And the site continues with the device Cervigard has created and how it can solve this pain.